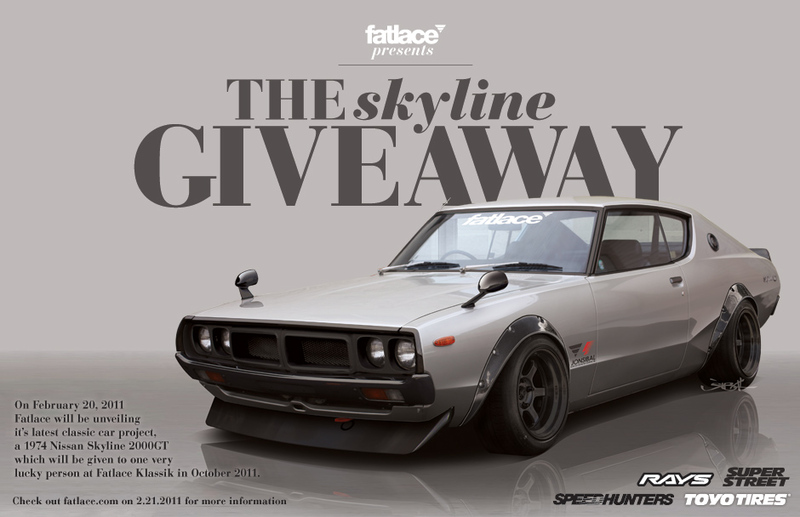 Fatlace is unveiling their newest project a 1974 Nissan Skyline 2000GT. The car, which will be revealed February 20, will be given away at the end of the year. Check back to the Fatlace site for more information February 20. Fatlace Skyline Giveway Teaser from fatlace on Vimeo.